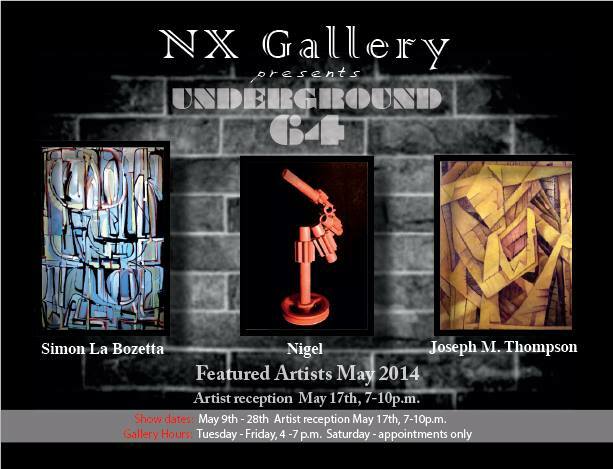 Come join JT Thompson, Simon La Bozetta, and Nigel in their debut show in the NX Gallery. Hosted by CS Gallery. Featured Artists: This is an amazing show to kick off our spring / summer season. These three gentleman have worked tirelessly to build something amazing in the spaces below CS and make it their own!! UNDERGROUND64 is an impressive collaboration and I am excited to be partnering with them. Don’t miss this debut showing! !